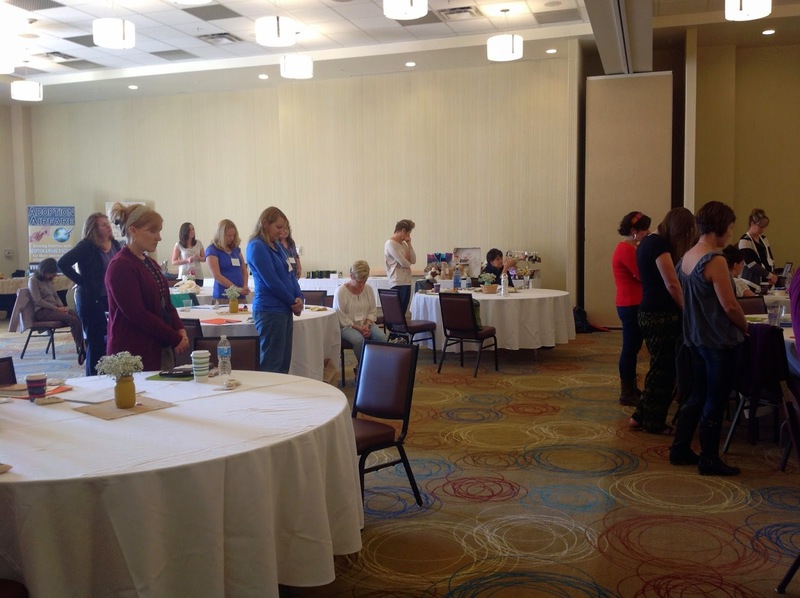 This past weekend was our 3rd Passion for Orphans retreat. We were at Aloft in Broomfield, near Boulder. 50 ladies joined us this time, with 10 of those ladies commuting for various parts of the weekend. Our theme was Hope and Healing. and my hope is certain. I gave the talk on Sunday morning and just wanted to recap some of what I shared. I addressed the difficult topic of suffering. With a room filled with adoptive and foster moms, they know, and have experienced much suffering. Both personally, and through the kids they have brought home. Suffering looks different for each person. and determine what our personal suffering looks like. The suffering we endure often leads to a Shattering. What once was is now unidentifiable because the pieces are shattered into tiny pieces. Broken glass, where the pieces cannot be put back together again. BUT we need to be reminded of Who's in control of what often seems like chaos. An offense can be taken up, but must not be. but instead Surrender and Settle by letting go of our offenses and lay them at the foot of the cross. It is through our suffering that God builds in us a Steadfastness. there is a great need for Healing - and Hope! Our Creator is the one who, piece by piece, picks up the shattered glass. He uses each piece for the larger picture. One day, all will be made new!!!! But while we wait ... we must find Shelter. Shelter in our Savior - ultimately, our hope and healing are ONLY found in Him. Shelter in other Saints - God uses fallen, sinful people in our lives to help bring healing. We must Share our story!